Sonic the Hedgehog has been many things: Werehog, knight, spinball, hover boarder, kart driver, and even a Super Saiyan. But he's never been a buildable stuffed toy. 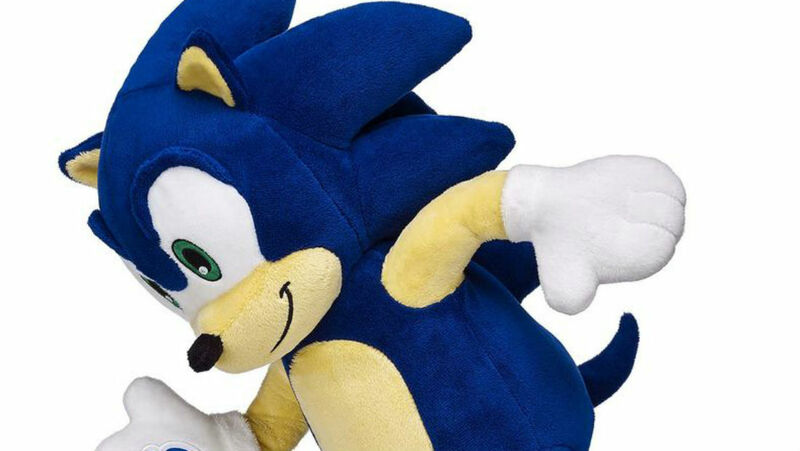 Thanks to Build-A-Bear and Sega, in celebration of Sonic's 25th Anniversary, you can now stuff your own Sonic for $35. A limited, online-exclusive bundle comes with the 17-inch stuffed Sonic, a gold ring accessory, and a print drawn up by Sonic Team. If you just want Sonic himself, or a pre-stuffed version of his pal Tails (which runs for $15), you can also wait until the toys are available in stores starting December 3 (and March 2017 for UK, Denmark, and Ireland Build-A-Bear locations). Finally, you can choose to insert a sound chip featuring the "Special Stage" theme from Sonic the Hedgehog 3, for that little bit of extra goodness. I've always been a little wary of buying stuffed animal toys, but Build-A-Bear has quality work that usually makes up for the price. I'm going in on Tails, at the very least.